At some point in your life you were taught etiquette. 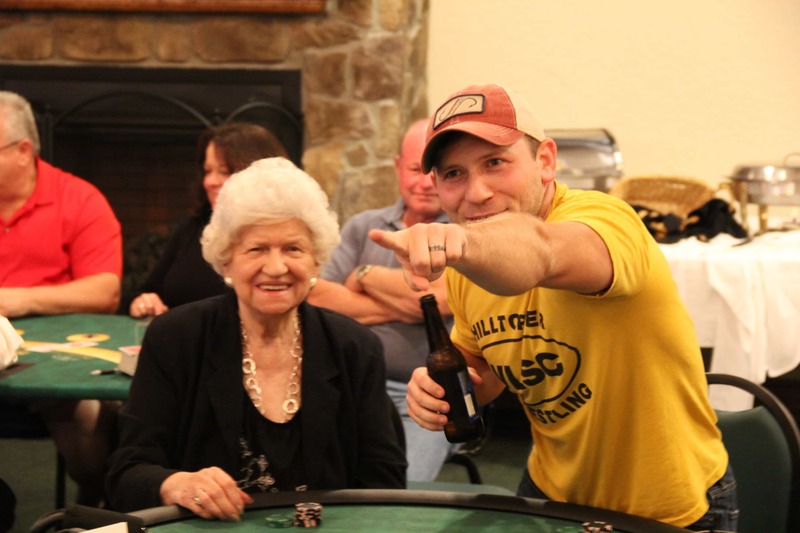 It stands to reason that the lessons you learned about being polite, being patient, and exercising civility should apply when you’re at a poker table. But humans being human, sometimes the manners we learned long ago are forgotten, especially in the heat of a contested hand. Tempers can flare and words can be exchanged. Then there’s the etiquette of poker itself, which is also easy to forget due to the excitement the game creates. What follows are rules related to the game of poker and conduct in general. Wait your turn: Never bet, fold or raise before it’s your turn. This seems like a simple rule, but many players fold prematurely, most often because they’re disgusted with their cards. And sometimes players raise before their turn because they have a strong hand. Remember, every time you act early it gives the players behind you information they would otherwise not have. Don’t show your cards early; when you fold, don’t accidentally flash or flip over your cards. You’re giving information to other players still in the hand and revealing those cards may determine the outcome of the hand. The only reason to flip over cards before a showdown is in heads-up situations when one player is all in. Don’t talk about your cards while a hand is still in play: How many times have you heard a player say “I would have had a full house” when rag cards hit the board? Too many. Letting other players know what you folded again gives them information that will affect a hand’s outcome. Don’t make string bets; never say, “I call your 50 and raise you 100” like they did in cowboy and western movies. That’s known as a string bet, and won’t be allowed a table. Say “I raise 100” instead. Make sure you don’t put your chips in a pot in more than one motion; it won’t be allowed. Pay attention; don’t be that guy/gal who keeps checking their fantasy team’s stats or stock prices on their cell phone and has to be constantly reminded it’s their turn to act. Keep the pace of play flowing by not making other players wait. As a bonus, if you pay attention to the game instead of your cell phone or any other distraction, you might learn something about your fellow players. Don’t splash the pot; it might look good in Rounders or other movies, but splashing the pot is bad form and makes it hard to tell how much you’ve bet. Just move your chips into the pot in neat stacks. The dealer and other players will thank you. Speaking of dealers, don’t blame the dealer for the river card that gives your opponent a flush or inside straight. Yes, the dealer shuffled the cards, but the randomness of poker (and shuffling) ensures that he or she was not personally opposed to your winning the hand. Don’t yell, scream, or berate the dealer because of a bad beat. Speaking of bad beats, this might sound counter-intuitive, but embrace them. In Annie Duke’s book, Decide to Play Great Poker, she writes about accepting and even liking the occasional bad beat because it indicates an opportunity: If a player is willing to go to the river to draw out on you, more often than not, he or she is going to lose. 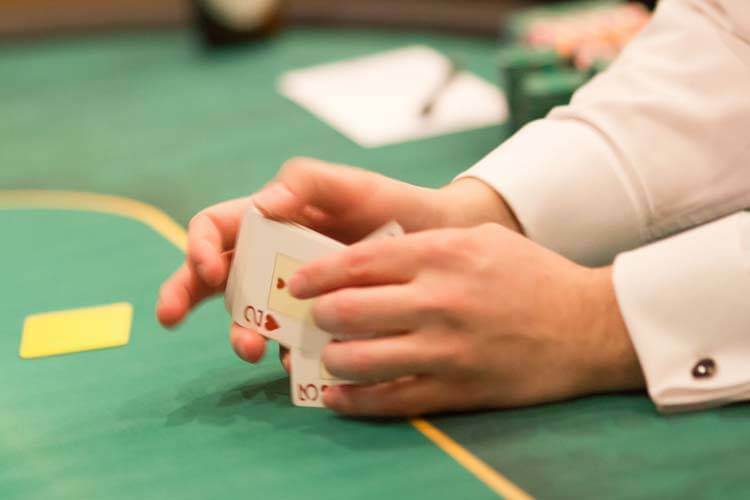 Yes, it’s hard to lose a huge pot when someone hits trip deuces on the river. But the odds ensure you’ll win against this type of player in the long run. Be sociable — One of the best things about playing poker is that you can sit down at a table of strangers and walk away a few hours later with friends for life. Poker can be the most sociable of games, a great way to relieve boredom or loneliness if you have the right mindset. Be open to conversation. Smile. You don’t have to gab like Dr. Phil, but a pleasant, upbeat attitude will go a long way to making your experience at a poker table more enjoyable. However, do watch what you talk about. Poker tables can be great incubators for discussion, but it’s not the best idea to stridently advocate for one political candidate and demean another. Be aware that your fellow players might have varying viewpoints on social issues, religion, politics, and even sports. If you talk about these subjects, be respectful of others. And never use profanity, racial slurs, or sexist language, which will justifiably get you ejected from any decent poker room. With regard to cell phones — not so long ago, most casinos banned cell-phone conversation at poker tables. But now that everyone has a cell phone — and with casinos cognizant they can‘t make money with players away from tables — cellular conversations are usually permitted as long as they don’t interrupt play. But here’s the rub. Cell phone conversations are still annoying during the course of a poker game. No one wants to hear about your plans for dinner, complaints about a spouse or boss, or incessant chattering about, well, anything. If you’re going to be on your phone for more than 30 seconds, do the right thing and walk away from the table and converse in private. Don’t play drunk. This should be obvious and most poker players adhere to sobriety for the simple reason playing drunk leads to bad decisions. But if you are new to playing at an event or casino, be advised that a few drinks are okay; being plastered is not. New to poker? Please check out my blog for beginning poker players.